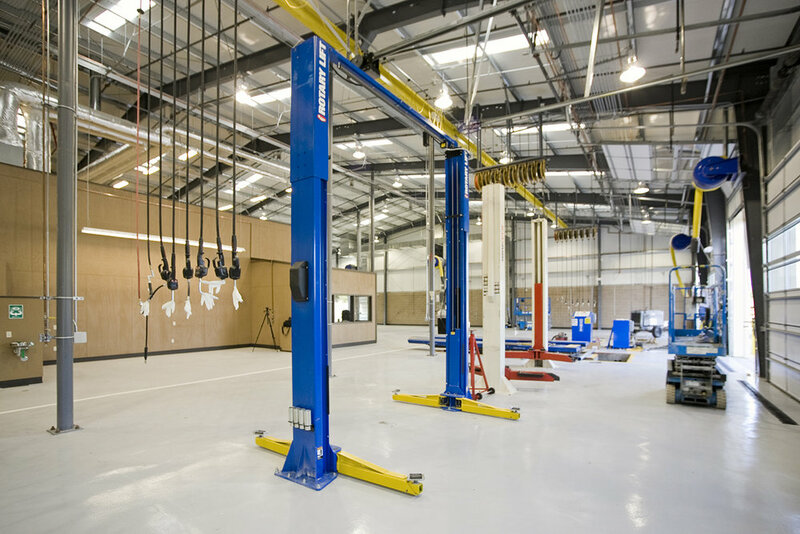 LDA Partners was selected as the design/build architect because of our vast experience with design/build delivery and our inherent interest in auto dealership design. 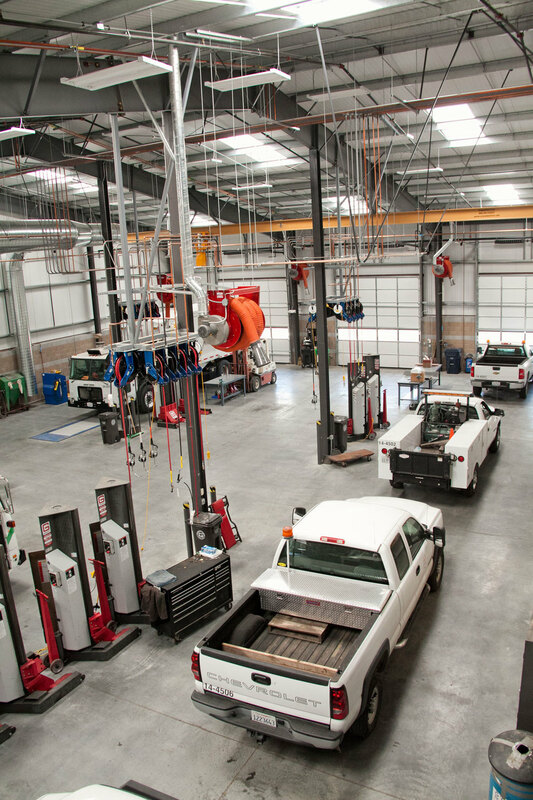 This project reimagines an existing warehouse complex of two buildings and two acres on the dealership boulevard into a new Mazda Sales and Service center totaling approximately 40,500sf. Approximately 20 percent of the existing pre-cast concrete structure was demolished for the inclusion of vast curtain wall systems to display the New and Used Car Studio and Jewel Box. The Sales building has been remodeled to improve the customer experience while providing necessary space for employees. 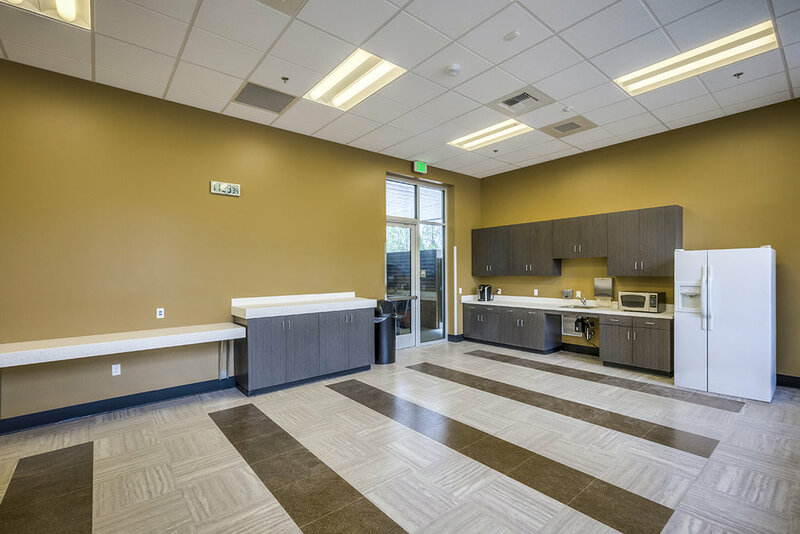 These spaces include administration offices, break room, detailing bay, car wash bay, conference room, manager’s and owner office, service reception bay, and comfortable customer lounge spaces. The site was reworked to provide 14 visitor stalls and 112 inventory stalls. 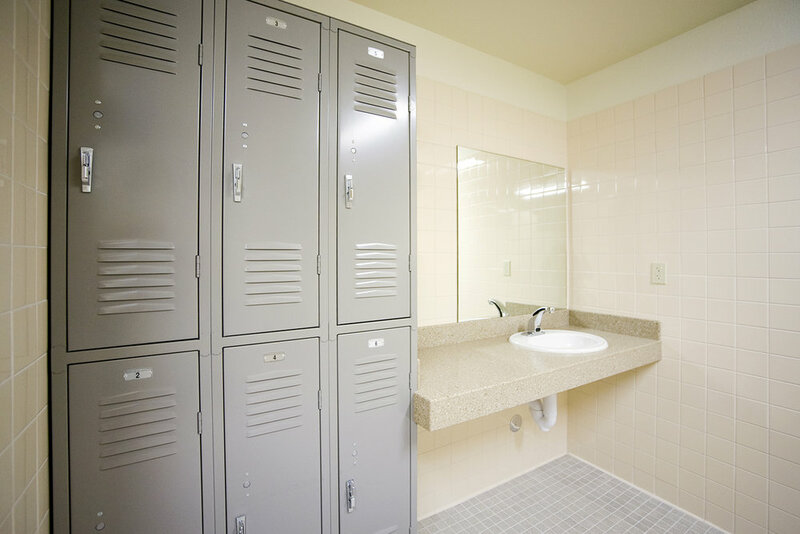 All mechanical, electrical, and plumbing systems were completely upgraded to provide sufficient service for the new use. Existing skylights were incorporated into the design to provide natural daylighting throughout the spaces. 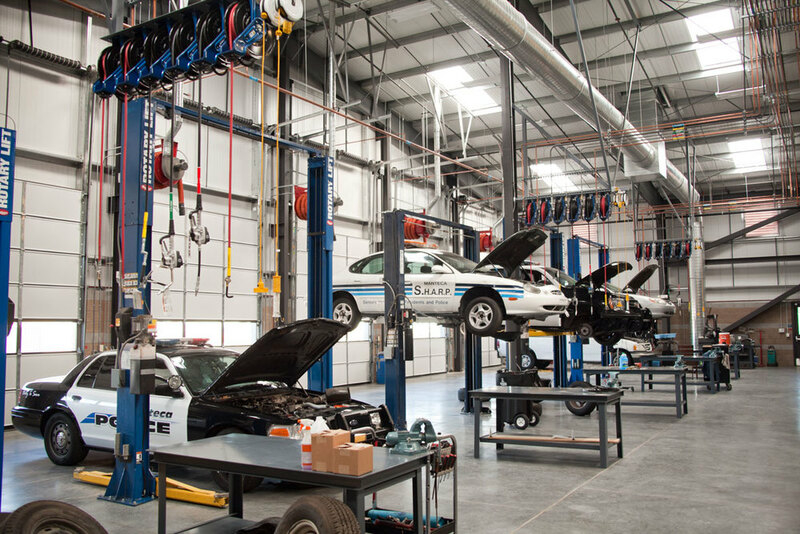 By implementing the design intent documents, LDA incorporated the extensive use of glass, high-end finishes, technology, and clean design lines to reimagine both buildings into a state-of-the-art dealership to service the community and region. 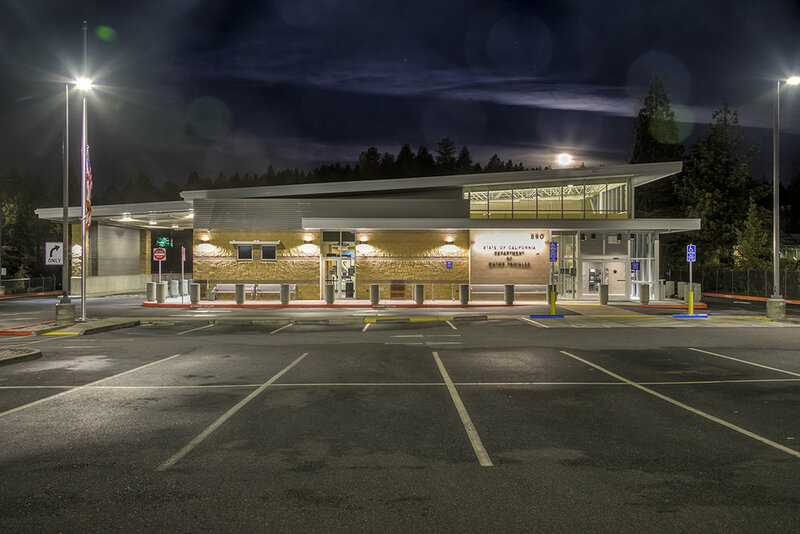 This Department of Motor Vehicles replacement field office facility located in Grass Valley, California represents a continuing commitment to sustainable building design by the State of California. 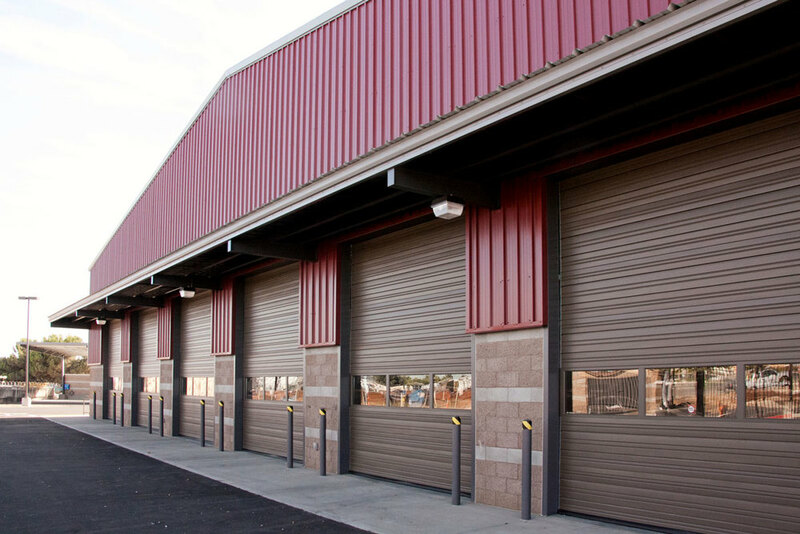 The building is approximately 8,000 sf single story to be constructed (ground up) as a new stare owned facility by DMV. During design both DMV and DGS elected to pursue a “zero net energy” (ZNE) methodology. 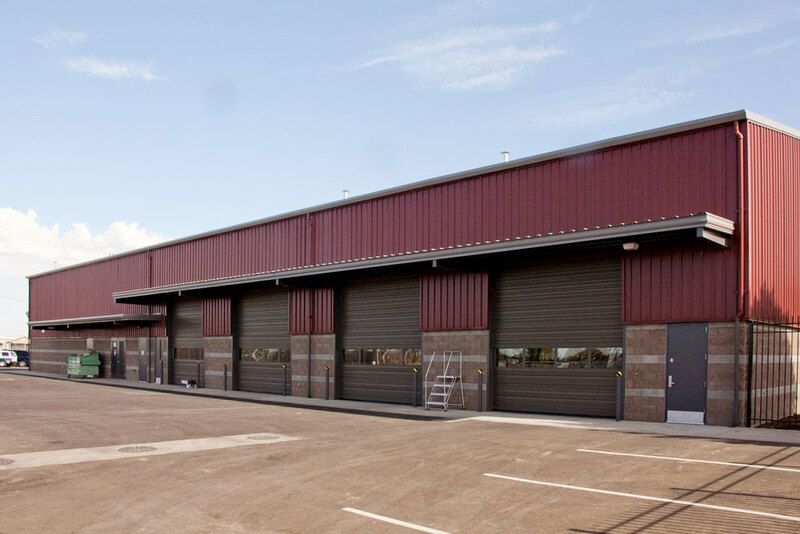 The building envelope and environmental systems maximize thermal and energy efficiency, natural daylighting was increased, and the photovoltaic system eliminated dependency on the electrical utility. 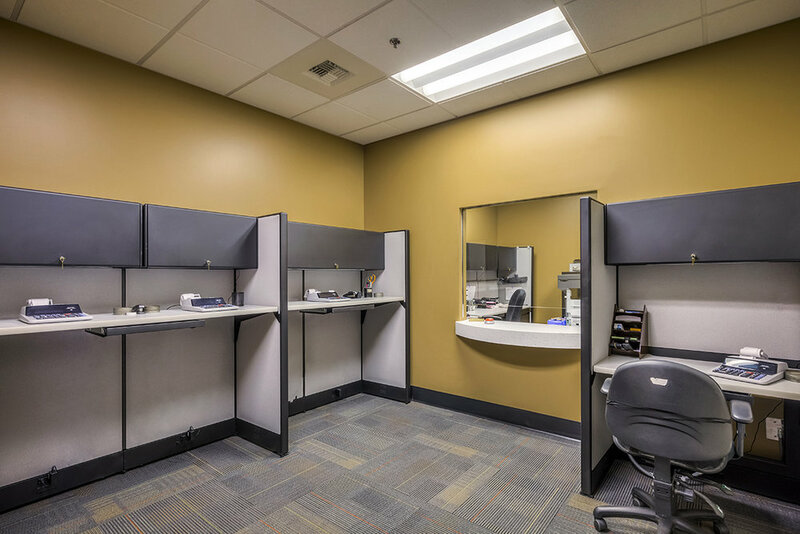 Our team was responsible for complete planning and design for the building, site, and DMV improvements based upon program requirements provide by DGS and DMV. Our firm also provided the LEED consulting throughout the design process. 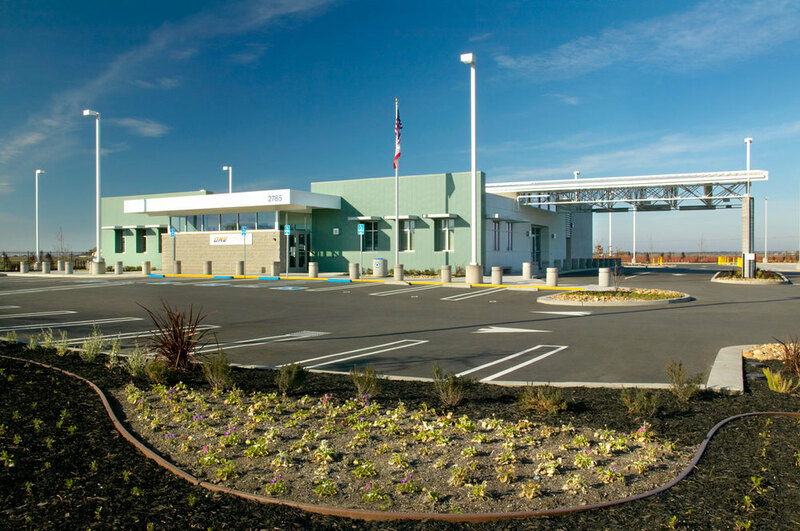 LDA’s challenge on this project was how to design a LEED Gold DMV facility for the State as economically as possible in order to meet the financial deal put forth by the developer for the building. LDA employed a creative approach that satisfied both stakeholders’ goals. The result is a new 10,000 SF building meeting the DMV functional program, all sustainability goals and developer requirements. 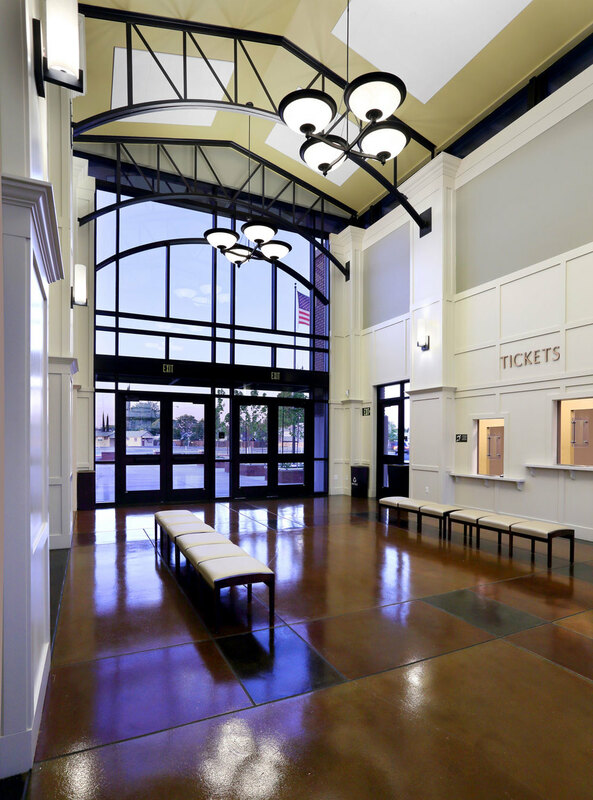 Featuring extensive use of natural daylighting in the building prompted one local reporter to write, “It’s a great place to stand in line”. 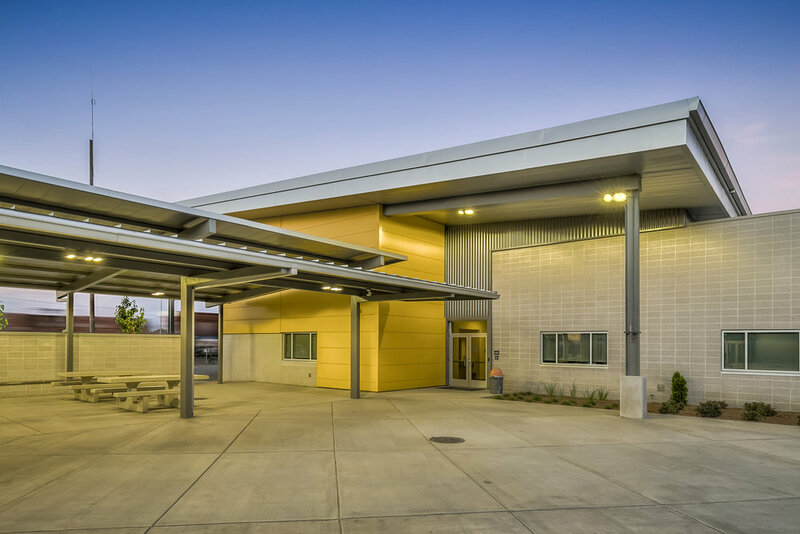 This project presented a unique challenge – how to informally partner the State of California, a private developer and the City of Stockton to come together to design and build a new DMV facility that would not only satisfy the functional operation of the State but also act as a catalyst for revitalization for the City. LDA, being experts in building consensus amongst stakeholder groups, employed their public outreach skills and was able to bring the three parties together to achieve a common goal. 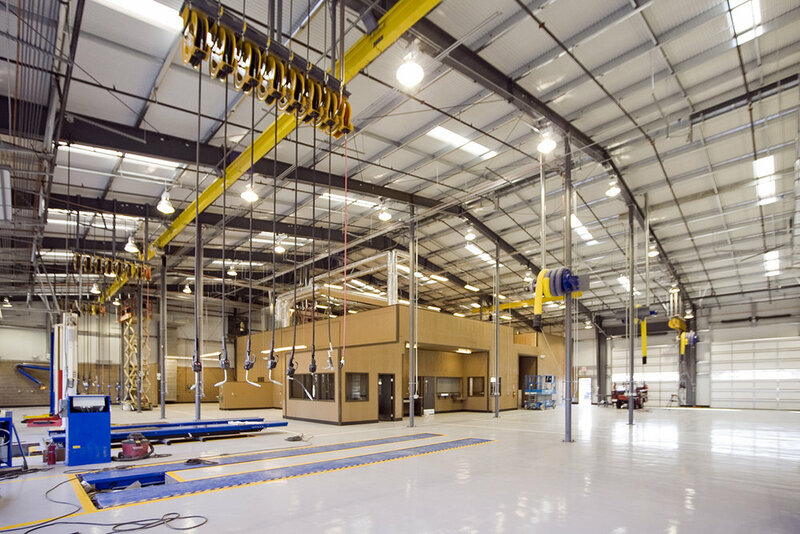 LDA’s design of the new facility not only met all DMV operational requirements, but achieved LEED Silver. In addition, being highly visible from the freeway, the new building has had a positive effect on the area, now with adjacent development starting to flourish.